To use Groupon or not to use Groupon... that is the question. This is one of the most controversial topics when it comes to marketing your massage business. Some say Groupon is a great way to build your business while others have nothing but horror stories to tell about their experience. In all honesty, I've never heard any good stories about this strategy. I've heard massage therapsits, acupuncturists, chiropractors and other wellness practitioners talk about the mentality of coupon shoppers... "You tell them they need to come back for another treatment and they just look at you, smile, and say, Oh that's okay, I've got a draw full of discount vouchers at home..." - and they are never seen again. In fact, I know of one poor massage therapist who went broke and out of business due to a poorly negotiated deal with a discount house. But it can't all be doom and gloom, can it? I mean to say, somebody has had to have cracked the code... found the secret source to making deal sites work for their business, right? After all, these sites are never short of advertisers, so it has to be working for some businesses otherwise these sites would go out of business. Like anything, you can get deal sites to work for you as long as you have a clearly defined game plan and a rock solid mindset. In all honesty, Groupon and similar sites have never appealed to me - as a business owner or as a consumer. But that's my personal choice and in the interest of serving as many therapists as I can I felt it only fair to pick up and dust off the battered, bruised and maligned deal sites and see if they did, in fact, offer a viable means to business growth. In this episode I speak with Cath Cox who has had a lot of success with deal sites such as Groupon. Cath explains how to negotiate and manage Groupon deals to effectively grow a business. Cath does say that mindset is the vital in this whole process. If you can't get your head around giving away 'cheap' massage then this strategy probably isn't for you. When it comes to building your business you need to use a variety of strategies - short term, mid term and long term. In most cases, strategies that don't involve discounting, offers or giveaways are more long term, it's the long game, you build a foundation, a network, a reputation etc. This takes time but the results flow on indefinitely. Groupon and deal site strategies are short term, by this I mean you don't have to wait long to see the results of your ad. You set up a Groupon deal and your phone is going to start to ring pretty quickly. It's sort of like a flash bomb... one minute you've got no clients then next minute you're busy. The problem with short term solutions is this. Clients aren't attracted to you because of your hard earnt reputation. They aren't attracted to you due to your trackrecord of getting results. They are attracted to you wholely and soley based on the deal. And odds on they've got a drawer full of coupons for similar services at home. If you're going to build your business off the back of deal sites you had better have a good strategy in place. You had better be able to convince the client that not only do they need to see you regularly, but in fact, they need to see YOU and not any of the many other businesses offering the same deal. Can it work? Yes, of course it can. You can get anything to work as long as you're willing to put the work in and maintain the right attitude. It's just going to take a lot more work to convert them into a loyal client then if they have come to you via a referral or as a full paying client. If you're like me you've no doubt walked out of a course, or completed an online course only to be left feeling empty, disillusioned and a little bit ripped off. But the problem may have resulted from an incorrect choice of course on your part. You may have had an unrealistic expectation of what the course was going to equip you with. Understanding the three main education models and what they are geared to deliver will help you make an informed decision the next time you are looking at learning something for a specific outcome. Don't let the title fool you. If you're a massage therapist, acupuncturist, naturopath, holistic healer... if you practice any type of wellness modality this summit is for you. If you're over the struggle. If you're ready to grow your wellness business and fill your clinic with happy, loyal clients then the training provided on this summit will be invaluable. It runs from October 31 to November 4, 2106. During this time you can watch all the sessions for free and replays will be available for 36 hours. Marketing is a tricky business. Even the pros find it challenging so you may ask, “What hope do I have when it comes to marketing my massage business?”. The good news is that marketing is a science and skill that can be learned. You just have to be willing to do the basics. Drew Elliott is a freelance marketer who discovered that spa operators, while providing a great service really struggled with getting clients. When asked what he felt the biggest mistake massage therapists were making when it came to marketing their business, Drew responded with, “On a digital side, a lot of companies are undervaluing social media and engagement”. It's fair to say that not all massage businesses are created equal. So it stands to reason that some marketing strategies are going to work better for some business than others. That being said, the same principles of marketing apply to all businesses regardless of the product or services being offered. So you may say “But my business is different...” there is no reason why you can't adapt these concepts and simply change the message to resonate with your ideal client. Building a successful massage business is easy when you know how. In fact, it's incredibly easy and depending on how much you're willing to put into it, you can grow your massage business quickly and affordably. In this interview, Elicia Crook and I discuss the simple mindset shifts and marketing approaches you can take to start building your business today. Pick up your free copy of my 5 Marketing Mistakes That Could Be Killing Your Massage Business report. Are you ready to take your massage business to the next level? Enroll in our Massage Marketing Mastery course today! Have you ever considered using corporate events as a means of finding new clients and building your business? In this episode Andrew Ward, CEO of 3 Minute Angels shares cost effective ways you can tweak what you're already doing to increase your hours. Discover how a 5 minute massage can lead to an introductory offer for a full body massage. Andrew explains this extremely cost effective business building method. In fact it's so cost effective you actually make money while you're doing it! Have a listen to this episode and leave your comments below. I'd love to hear your thoughts. Pick up your free copy of my 5 Marketing Mistakes That Could Be Killing Your Massage Business report and book in here for your complimentary 20 minute coaching session. Get yourself on the early bird list for the Massage Marketing Mastery course and preview the first lesson for free! If you have a question about any aspect of massage marketing please feel free to send me an email at Tim@MakeMoneyWithMassage.com. I'd love to hear from you and your question could very well feature in a future podcast. If you enjoyed this episode, please leave me a rating and review at iTunes. We can spend a lot of time and money trying to find new clients for our massage business, but what about our existing clients? Surely we should be looking at ways to retain them and avoid the revolving door situation that occurs as new clients are continually found at the expense of losing past clients. Your client list is a gold mine that should be mined regularly. You should put as much effort, if not more, into working at ways to keep your clients coming back and increasing the dollar value per client. There are many strategies when it comes to retaining clients and this episode just provides an overview of some of them. Client appreciation week was blast. Clients responded very positively. My first week was initially booked out and we even had to book clients for the following week because we couldn't accommodate them - if the client wanted to book for client appreciation week and we couldn't fit them in we still honoured the offer and booked them in for the following week. However, if a client said that week didn't suit, then we told them the offer was only good for that week. When is it appropriate to give free sessions and assessments to help build clientele? That's a great question don't you think? A little while back I read a book by Eric Brown called 60 Clients in 60 Days. Eric offers some robust strategies for those just starting out in business. 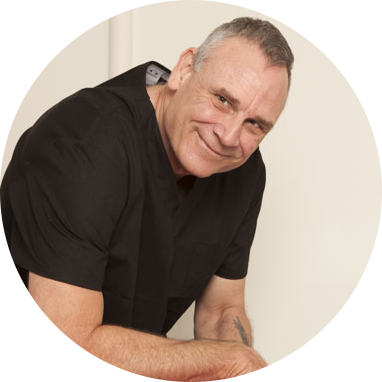 The book offers an easy to follow, step by step, week by week approach which involves, amongst other things, the provision of free 30 minute treatments. You may also like to pop over to the http://makemoneywithmassage.com web site for more information. If you're struggling to build and maintain your wellness business then this Podcast is for you. 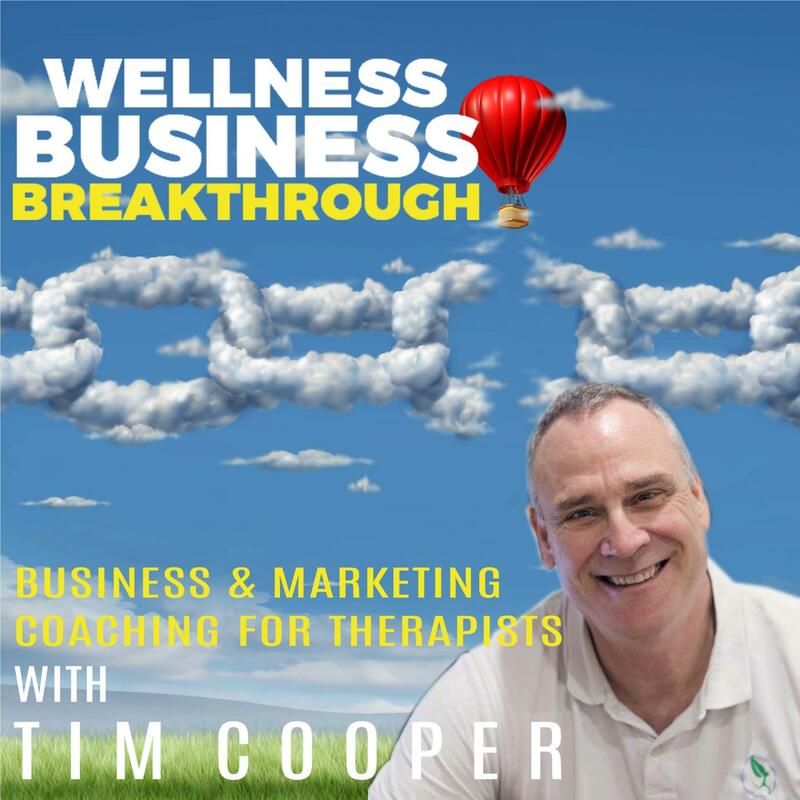 The sad fact is that 97% of therapists get it wrong when it comes to marketing their practice, leading to many therapists going broke and leaving the industry within their first year with many therapists not making it to five years in practice. The good news is it doesn't have to be that way. There are proven ways, simple steps that if applied will have you enjoying a thriving wellness business in a very short period of time. This podcast will help you regardless of whether you're a massage therapist, acupuncturist, naturopath, homeopath or energy healer. These strategies will work for any wellness business! Subscribe to the show to ensure you don't miss out on any sure fire marketing tips and tricks.